The FLHSMV Communications Office coordinates media and public relations for the department by responding to media inquiries including public records and interview requests. In an effort to be responsive and available to members of the media, below you’ll find contact information for each member of the press team. If you are not a member of the media, please call the department’s Customer Service Center at 850-617-2000 for further assistance. 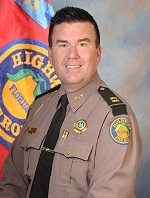 The Communications Office also coordinates FLHSMV safety campaigns and public outreach on issues of highway safety and security. Please visit our Safety Campaign page for more information on important driving, vehicle, child and consumer safety. For general media inquiries, please email hsmv-info@flhsmv.gov. For after hours and weekend inquiries, please include the Communications Director and Deputy Director on your email to ensure your request is received.